Yes, I am currently addicted to blueberries at the moment! They are so delicious, and go with EVERYTHING! 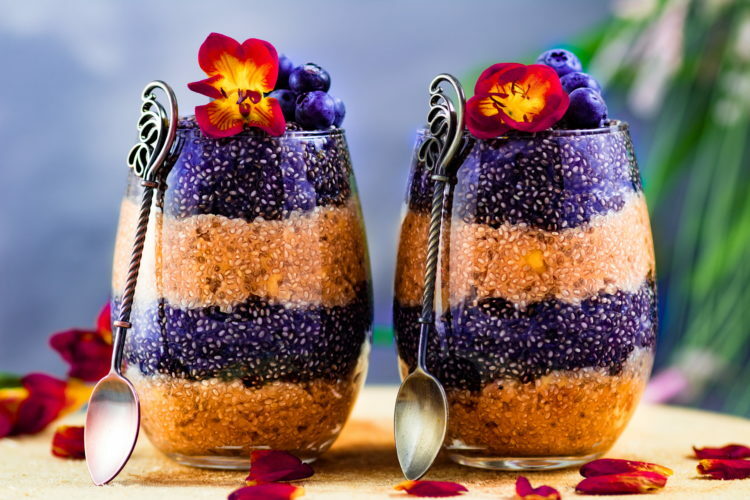 Chia pudding is a great way to showcase these wonderful berries. 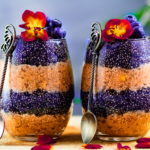 The fresh pureed fruit in the chia pudding makes this have such a refreshing taste. Using fresh fruit in this makes all the difference in the taste of this. 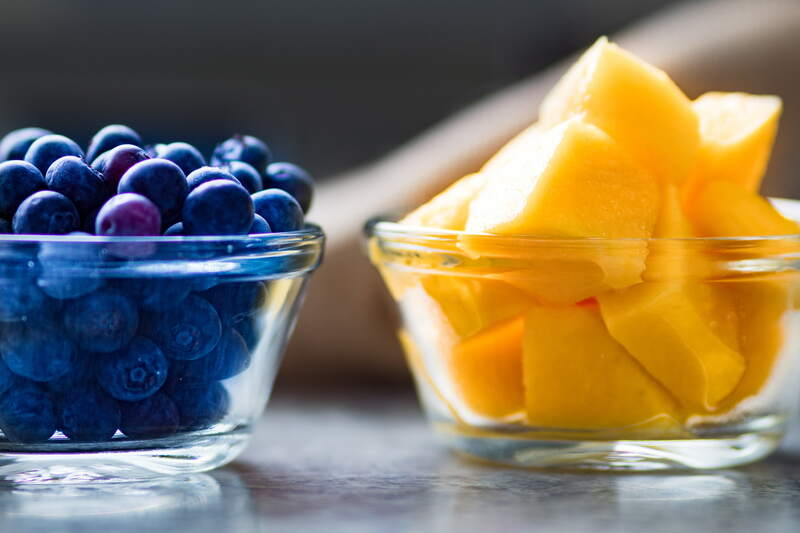 You can use frozen fruit that has ben thawed, but it’s not quite the same taste. Don’t get me wrong, it will still taste fantastic, but just not as fresh. When you puree the fresh fruit in with the pudding ingredients, it becomes so vibrant and smells so amazing! It was hard not to eat just the mixure! Add the chia seeds and let it sit for one hour. 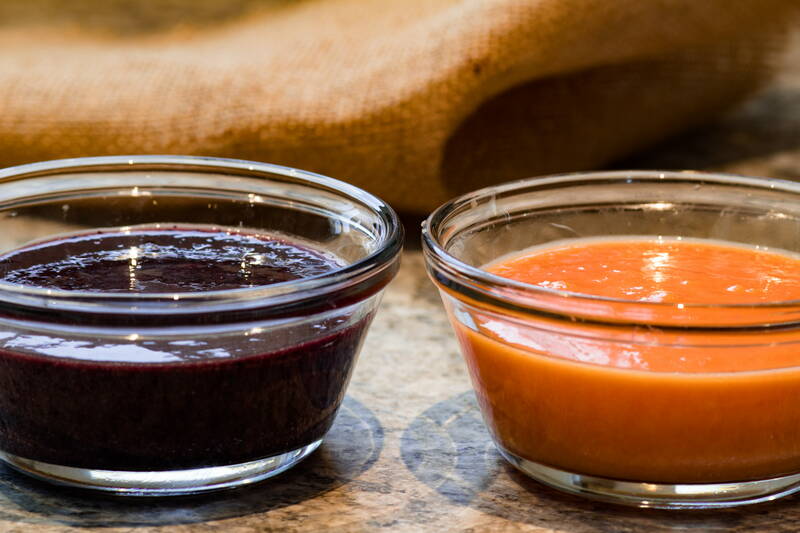 Then layer it in jars, and top with fresh fruit. Blend everything together except the chia seeds until smooth. Add chia seeds and let it rest for 1 hour. Blend everything together except the chia seeds until there are no lumps left. 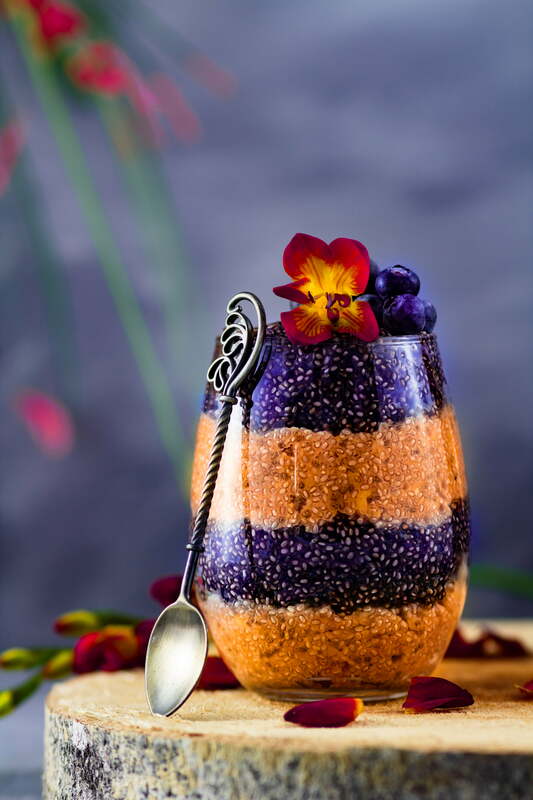 Layer the flavors in a glass and enjoy with fresh fruit.